Jonathan is so excited to be joining Kokandy for this production! Performing credits include: “Sam Kaplan” (Street Scene), “George” (The Drowsy Chaperone), “Billy Lawlor” (42nd Street), and “Billy Early” (No, No, Nannette). 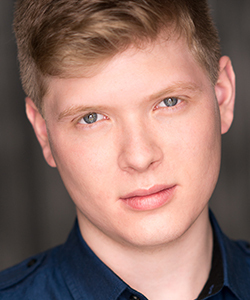 Jonathan has previously performed with Metropolis PAC, Steel Beam Theatre, Fox Valley Repertory, Chicago Folks Operetta, and the College Light Opera Company. He is a proud graduate of the Lawrence University Conservatory of Music where he earned degrees in Voice Performance and Music Education. Enjoy the show! For Mom, Dad, Adam, and Abigail.